There is plenty of blame to go around for the public loss of the 180 acre Orphanage Property, watershed, wetlands and critical habitat area in Ogletown-S. Newark. It was the last significant open space, and the last opportunity for a regional park and trail system; residents are now committed to either Pike Creek, Glasgow, or others well out of the region -- and certainly not "local" to anyone here. 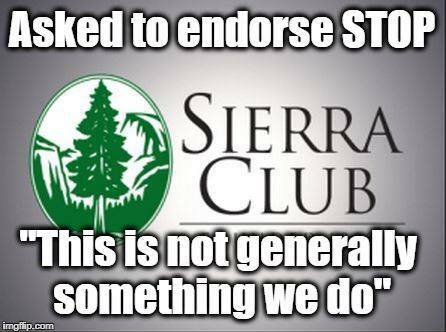 It is a very sad day when an organization such as UAW's CAP Council -- a non-environmental org no doubt -- can endorse a campaign like STOP without hesitation, but DE Audubon, Sierra Club, Wildlands, etc would not. They either found it too little of a PR grab, or they just couldn't be bothered wading through their own red tape and bureaucracy to take a position one way or the other. There has been a lot of discussion, and controversy surrounding our courting of environmental organizations for support of Save the Orphanage Property (STOP). As one of our latest Facebook posts on the topic is fast approaching 1,000 "reached", we are considering paying them a few dollars (something we only do for action alerts) down and "boosting" it further. It is a discussion we need to have, or expect little from said orgs and certainly no united front. STOP articulated a very simple, yet concise email and sent it to dozens of organizations contained on a list used by Advocates in opposition of HB-190, a bill to gut environmental protections for DE's coastal zone. The architects of that bill were -- you guessed it -- Senator Townsend and Rep. Osienski (as though they haven't presided over enough environmental damage already). Their environmental record shows rather clearly that these two, like their NCC colleagues Executive Meyer and Councilwoman Diller, are among the most anti-environmental legislators in Dover, but that's fodder for a future article. 1. You share STOP's support of the Felician Sisters Mission to build affordable housing for the underserved in Ogletown. 2. You agree with STOP that the development, if it goes through as fully planned, will have a negative impact, both on the environment, and the existing infrastructure including roads, schools, and drainage, on Ogletown and the surrounding neighborhoods. The Wetlands area and Vernal Pools will be harmed, as well as the wildlife there. 3. You support and share STOP's desire that the land apart from that which is needed to build the affordable housing, should be used to create a Regional park instead of approximately 200 additional housing units, and that you encourage the County and the Sisters to negotiate an outcome to that end." Is it us? A noted Advocate from Newark recently accused us of having "no idea what it takes to build a coalition". Really? We were guided and advised by Mr. Donald Sharp, who is a noted, 40+ year Advocate who was instrumental, along with Dorothy Miller and others, in saving large tracts of what is now known as the White Clay Creek State Park and Preserve. He continues in that role today, with the Coalition For Natural Stream Valleys, more recently working with Richard DuPont to save even more. We were also advised by other noted and senior Advocates, including Civic League of NCC members with abundant land use campaign experience. We carefully followed their advice. We also signed on, without hesitation, to support the opposition to HB190 - because the bill was a product of the same Legislators - Townsend and Osienski - that had 6 years (first two keeping it a secret) and multiple chances at saving the Orphanage Property. We are very proud of our efforts, although evil won in the end. In a nutshell, the support just wasn't there. We really don't think it could have been much easier. We had no choice but to rely on people caring. They had to have a willingness to follow STOP on-line (3 venues -- two web w/ email updates, and one social media). Or in this case, for endorsements, answer a few simple questions. Were we supposed to break from what became a full time commitment (including our normal FT jobs and other advocacy pursuits and goals), stake out these orgs in person or at their functions and spoon feed it to them? No one was asking anyone to endorse "STOP" as an org; they were asked to join in opposition to the destruction of the Orphanage Property. That, in turn, would provide cover in the advent that STOP advocates engaged in questionable activities. We want everyone to remember this come "Endangered Species Day" this weekend, when these same orgs/chapters will be out there strutting their stuff, giving handouts, appealing for memberships and contributions, etc. Remember it when you see them at events such as UD's Ag Day, Earth Day events, etc. 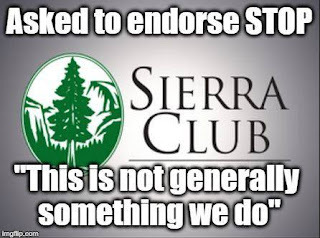 We urge our followers to instead consider joining the Delaware Nature Society, whose actions -- such as the swift endorsement of STOP -- speak louder than words. On a more local level, the Coalition for Natural Stream Valleys also needs your help, as does the White Clay Creek Watershed folks. As said earlier, "Charity begins at home" -- think globally, ACT locally.